Aboriginal flag flying in Hyde Park. Photo: Annie Zhang. 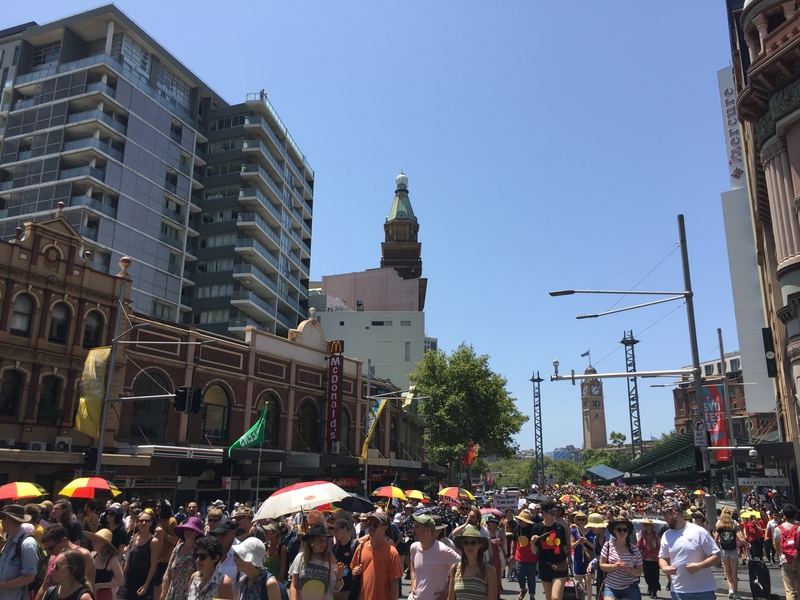 In a powerful rejection of ‘Australia Day’ celebrations, tens of thousands of protesters marched from south Hyde Park to the Yabun Festival at Victoria Park this afternoon. 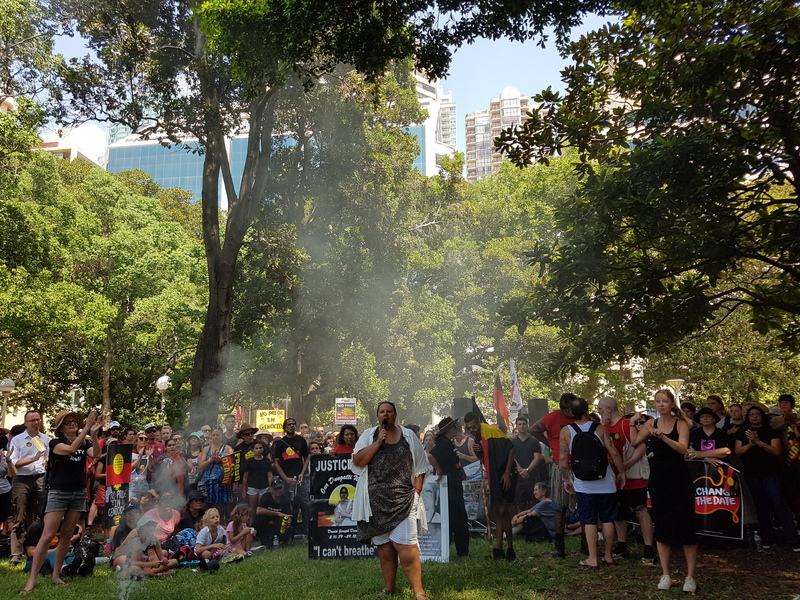 The protest, hosted on Gadigal land by Sydney-based and Indigenous-led group, Fighting in Resistance Equally (FIRE), has seen exponential growth in attendance with more than 30,000 people present during last year’s rally. 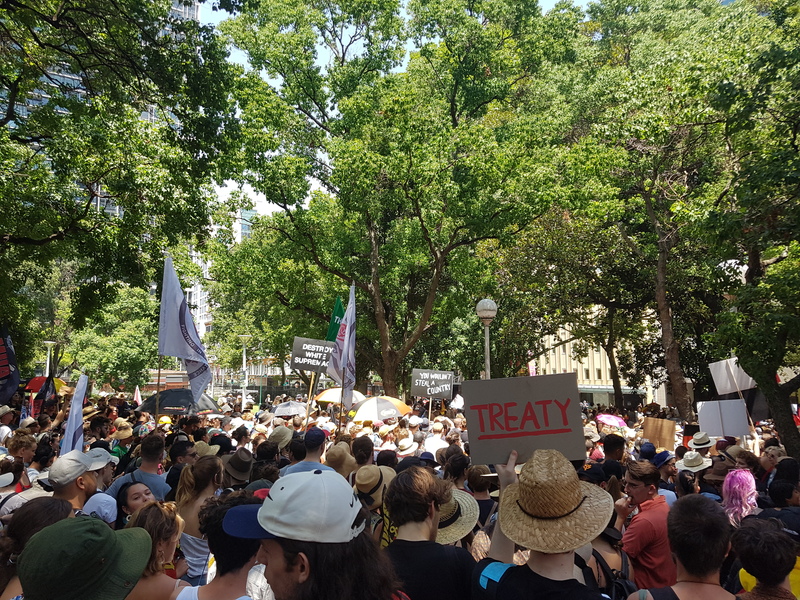 #InvasionDay Sydney 2019, on Gadigal land. 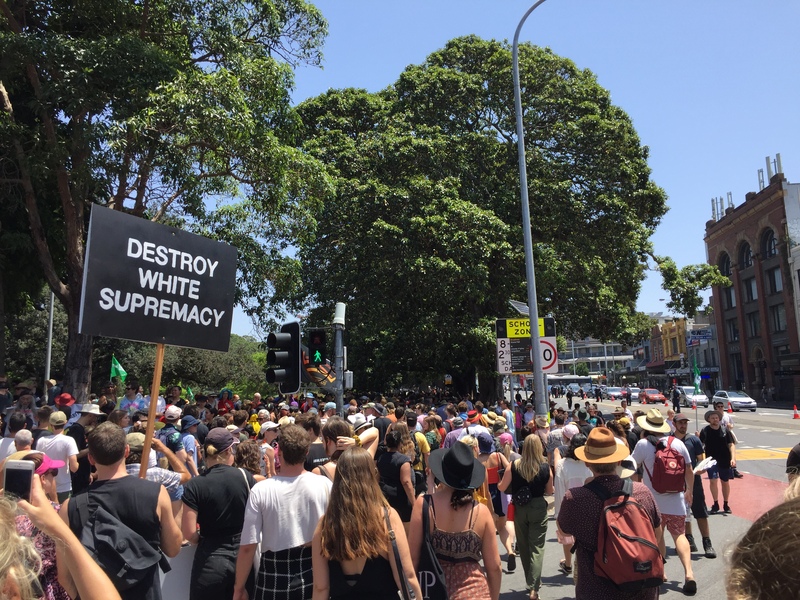 Today’s procession featured extensive representation from contingents which travelled from Wollongong and Newcastle, as well as broad Asian, Muslim and student contingents. 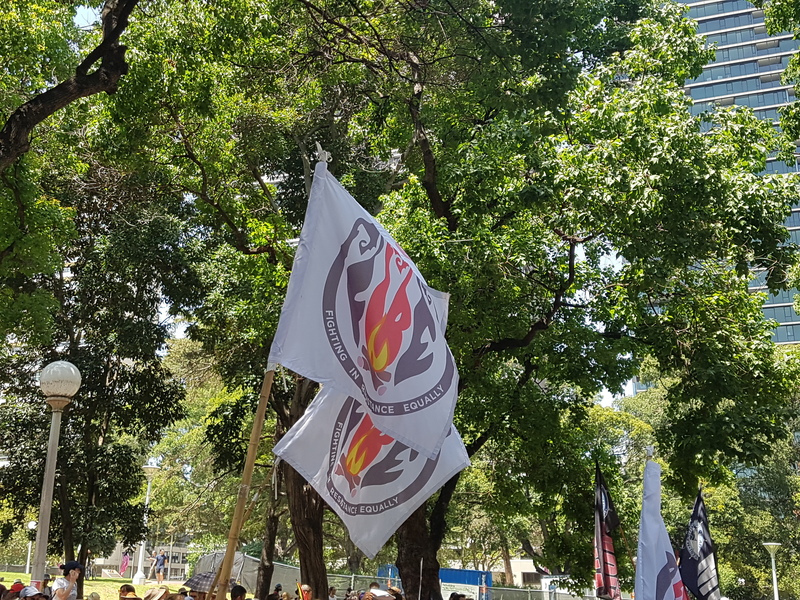 Members of the NSW Greens, Mehreen Faruqi, Jenny Leong and David Shoebridge were also in attendance, alongside the presence of union flags from the Maritime Union of Australia (MUA) and National Tertiary Education Union (NTEU). “We don’t need to just change the date, we need to change the country. Join with us. Stand with First Nations people and let’s change this bloody country,” Shoebridge said in a speech at the rally. 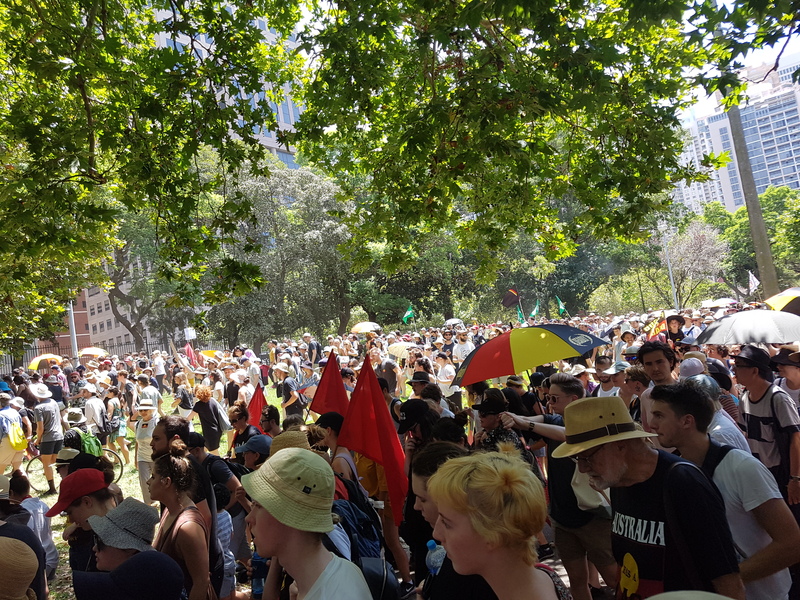 Sydney University students were also well-represented, with the Wom*n’s Collective (WoCo) and a general USyd contingent on the ground. 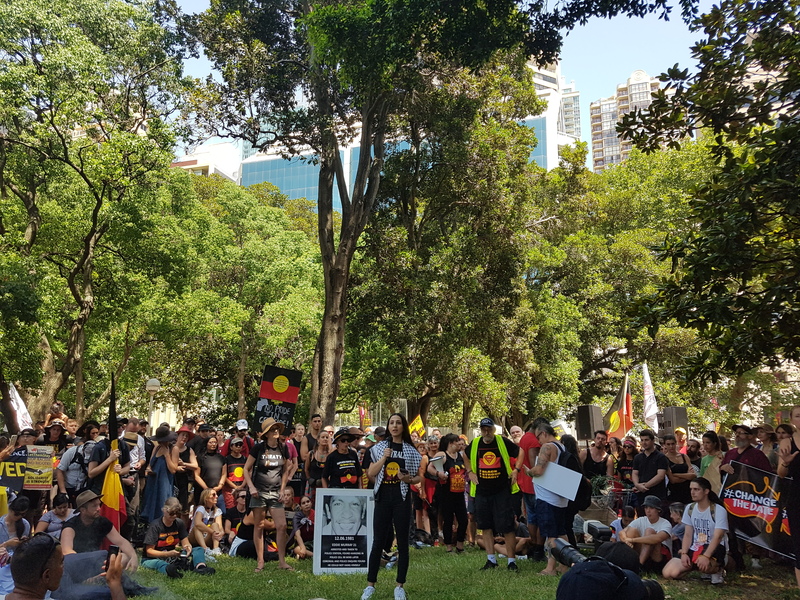 Various speeches highlighted the importance of policy challenges facing First Nations peoples, focusing generally on Aboriginal deaths in custody, the situation in Don Dale, Closing the Gap, the removal of Indigenous children from their families, and reconciliation. 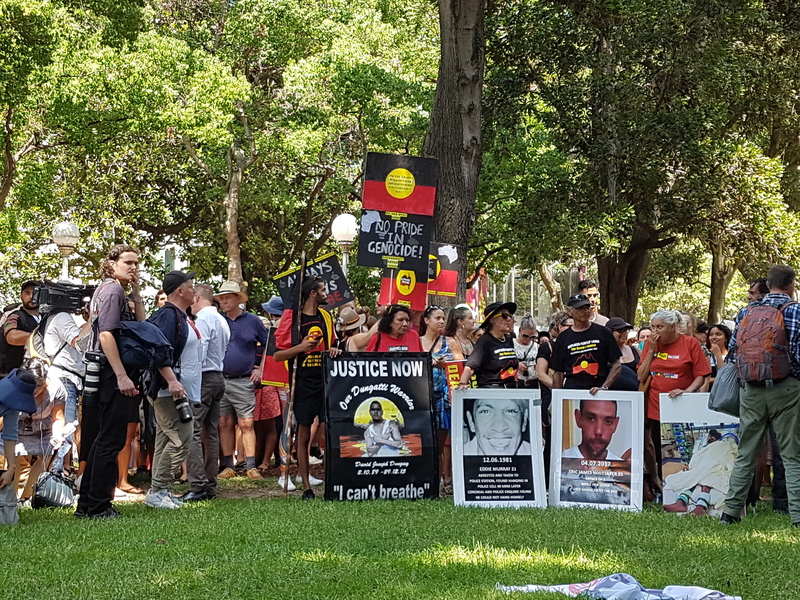 Protesters held a range of banners and signs demanding justice for David Dungay, Eddie Murray and Eric James Whittaker, who all died in custody. As the crowd listened, volunteers of FIRE collected donations for future organising, and passed around petitions seeking justice for T.J Hickey. Hickey’s death at the hands of police sparked the 2004 Redfern Riots. To date, Hickey’s family continue to call for a parliamentary inquiry into his death. The common thread which joined each speech was an unambiguous and collective repudiation of colonial invasion, genocide and the “attempted subjugation of over 500 different nations” as stated by FIRE in a Facebook event post. During the course of the speeches, a Mapuche activist was interrupted by a fly-by from a trio of F/A-18 Hornets. “Your fight is our fight. Our Indigenous people have been fighting for more than 500 years to protect our land, our water, and our way of living,” the activist said. Harry Bonifacio from the Anticolonial Asian Alliance also gave a rousing call to action for Asian people to commit to actions over gestures. “Solidarity means concrete anticolonial action. Our liberation is intertwined,” Bonifacio said. Chants of “they say accident, we say murder!” and “too many coppers, not enough justice!” came rippling through, amid a substantial police presence which shadowed protesters on all sides during the procession and included members of NSW Police’s Mounted Police unit, Bicycle Unit and Public order and Riot Squad officers. Despite the police presence, January 26, 2019 once again proved to tell a story of survival against all historical and persisting odds. For Honi’s live stream of all the speeches, see: Honi Soit on Facebook. For Honi’s live Twitter feed, see: @Honi_Soit. 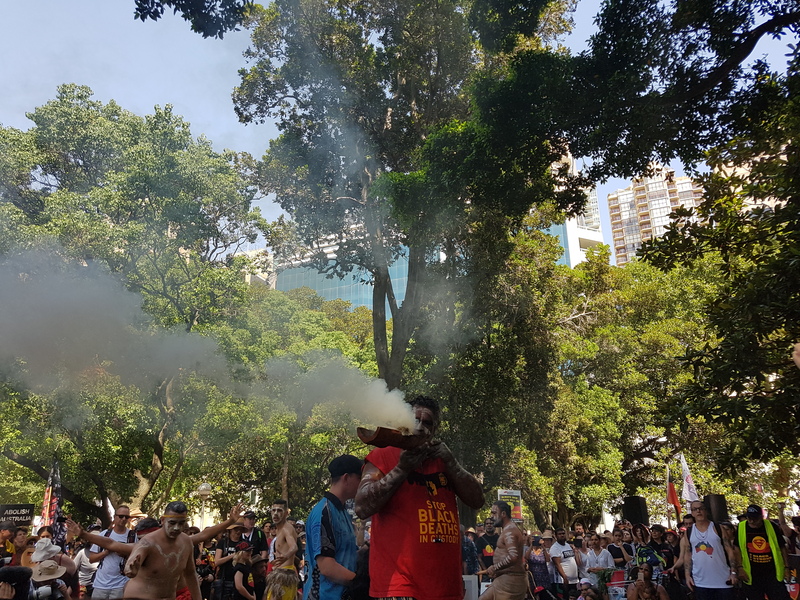 A smoking ceremony takes place after the acknowledgement of country at the Invasion Day 2019 Rally in Sydney. Photo: Annie Zhang. A speech from iconic Indigenous activist and poet Ken Canning, whose people are from the Kunja Clan of the Bidjara Nation in south west Queensland. Photo: Annie Zhang. “We need to mob up, Australia!” says Gomeroi woman Suellyn Tighe as she speaks on reforming the prison system. Photo: Annie Zhang. A Palestinian-Australian activist reads their piece, ‘Bird Boxed’, calling out the nation’s disregard for Indigenous issues. Photo: Annie Zhang. 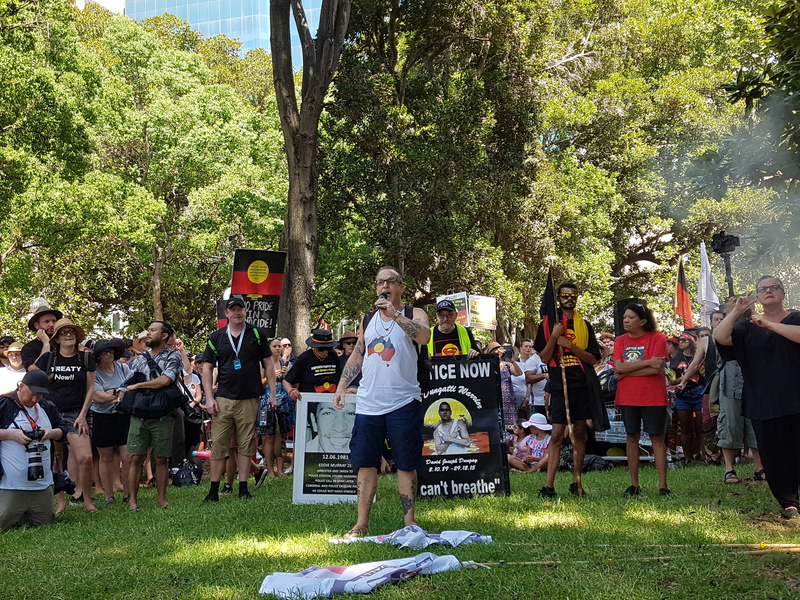 Leetona Dungay and other protesters carry signs demanding justice for Aboriginal deaths in custody, such as that of Daniel Dungay, Eddie Murray, and Eric James Whittaker. Photo: Annie Zhang. Flags from FIRE (Fighting In Resistance Equally) fly high over the rally. Photo: Annie Zhang. The rally begins its exit from Hyde Park. Photo: Annie Zhang. 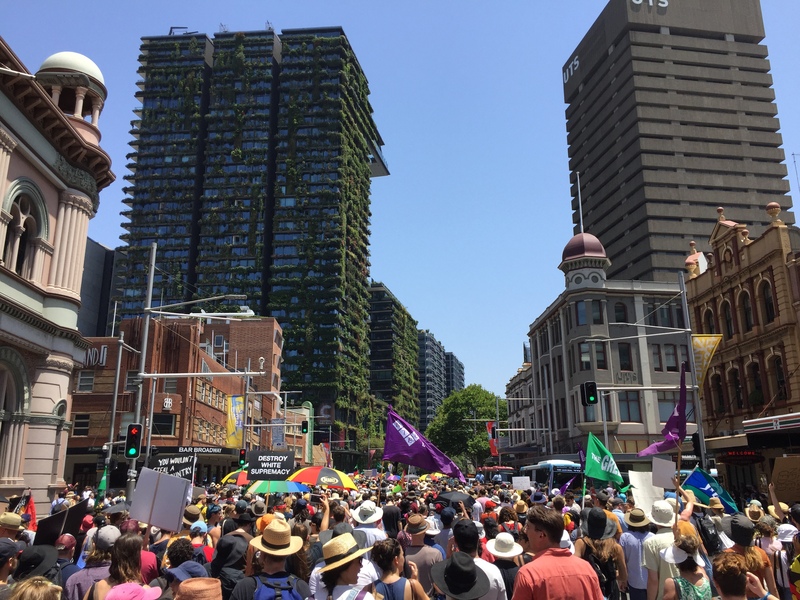 The rally proceeds southwards along Elizabeth Street. 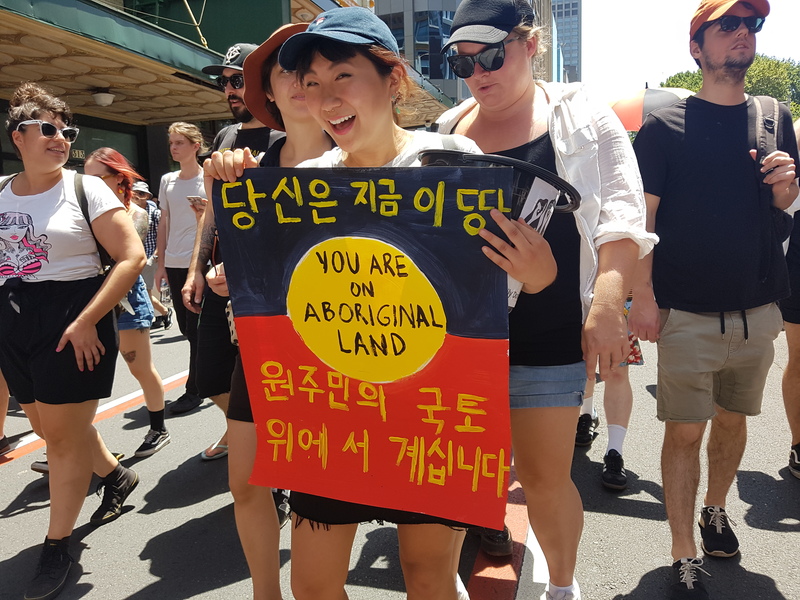 Former Honi Soit reporter Soo-Min Shim holds a bilingual Korean and English sign, which reads “You are on Aboriginal land.” Photo: Annie Zhang. The rally makes its way through Belmore Park. Photo: Annie Zhang. 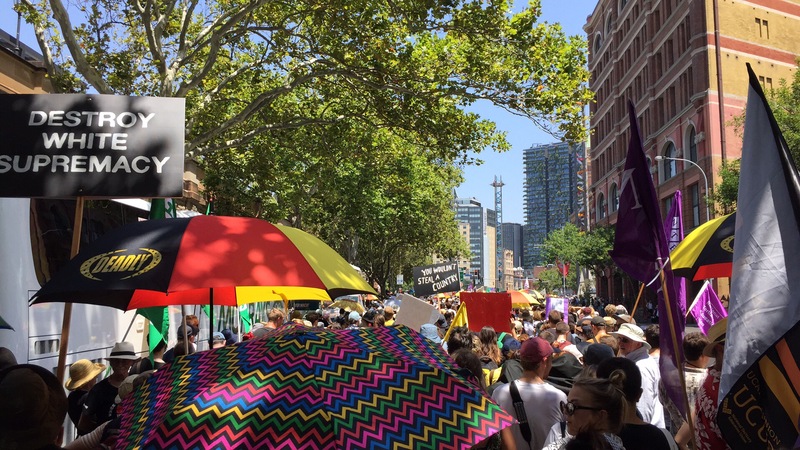 The rally moves from Belmore Park to Eddy Avenue. 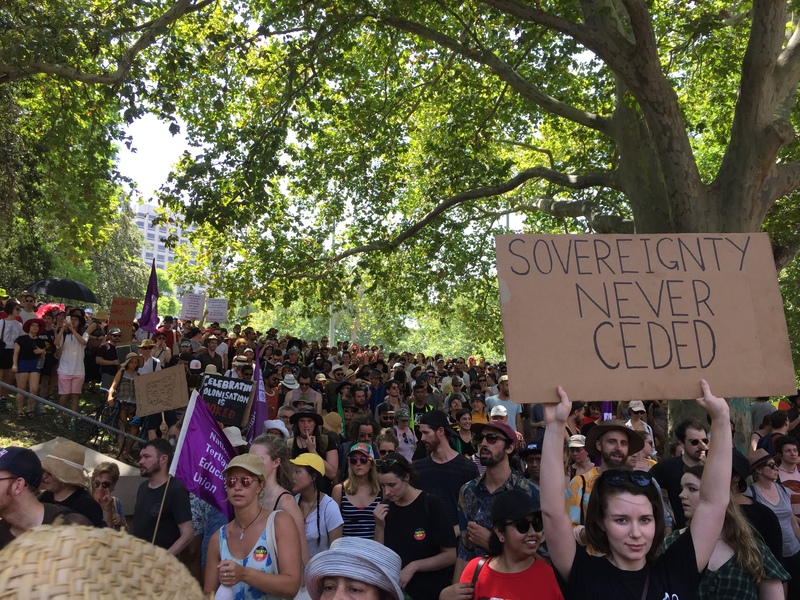 A protester holds up a sign that reads “sovereignty never ceded.” Photo: Liam Thorne. The rally proceeds under the light rail overpass onto Pitt Street from Eddy Avenue. Photo: Liam Thorne. The rally passes through Railway Square. Photo: Liam Thorne. The rally passes Central Park. Photo: Liam Thorne. The rally nears Notre Dame on Broadway. Photo: Annie Zhang. 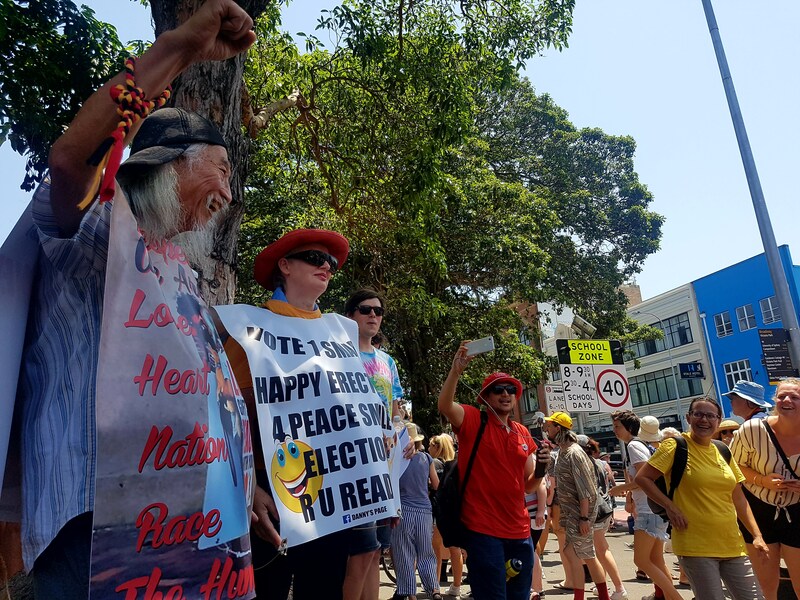 Sydney icon Danny Lim stands with protesters outside Victoria Park. Photo: Alan Zheng. 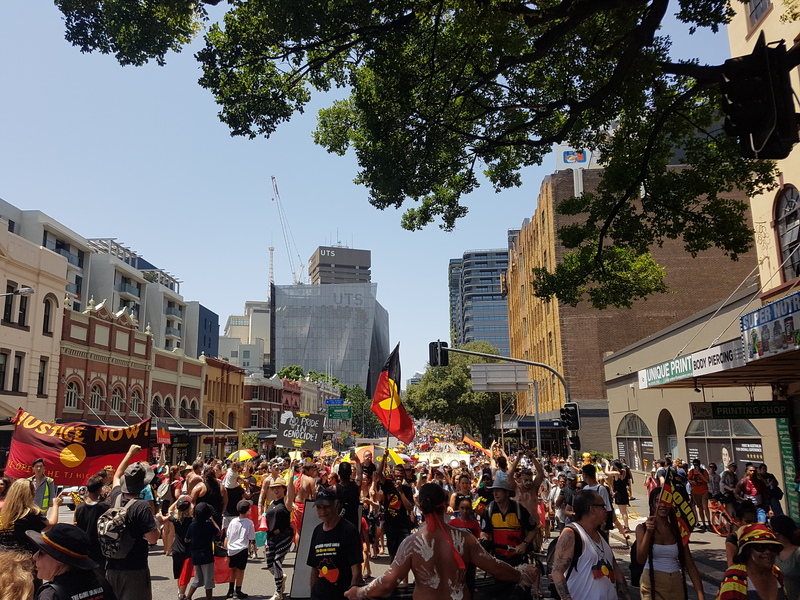 The rally enters Victoria Park for the Yabun Festival, the largest annual celebration of Indigenous cultures held on 26 January. Photo: Liam Thorne. 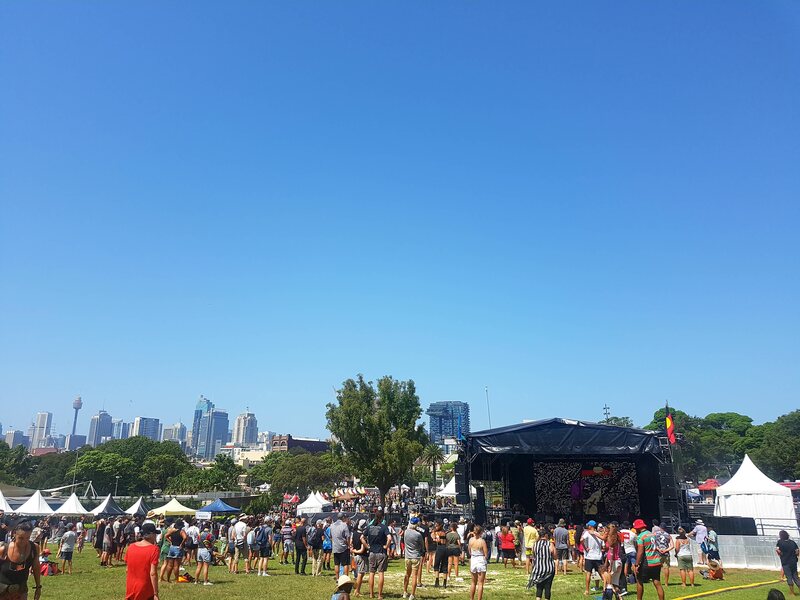 Blue sky over Yabun, after the rally. Photo: Alan Zheng.